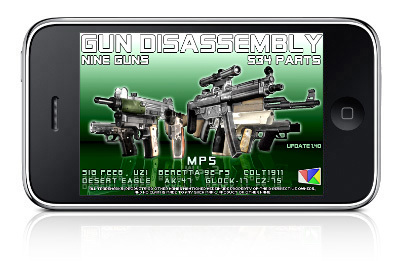 Pre-release version of "Gun Disassembly-2" project by Noble Empire Ltd is available for free download. 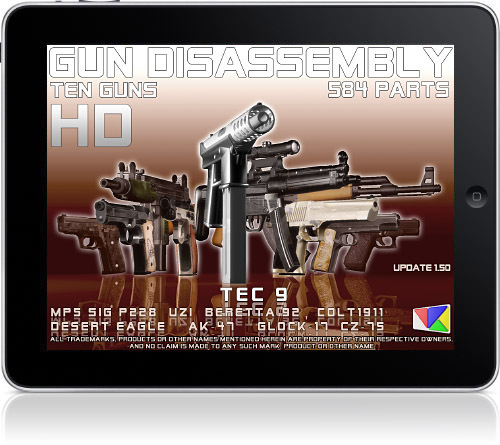 Updates 1.60 of the Gun Disassembly 3D and Gun Disassembly 3D HD is released. 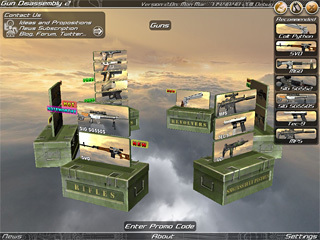 ★ SIG P228 pistol is FREE now and forever ! 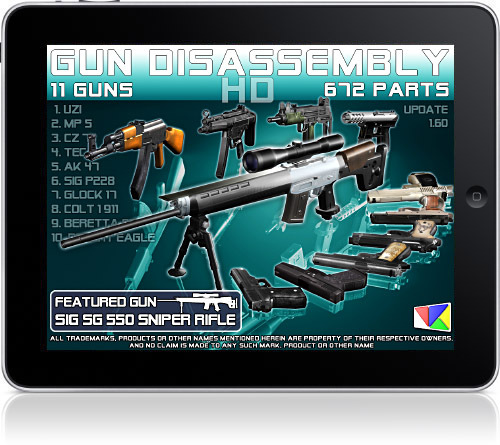 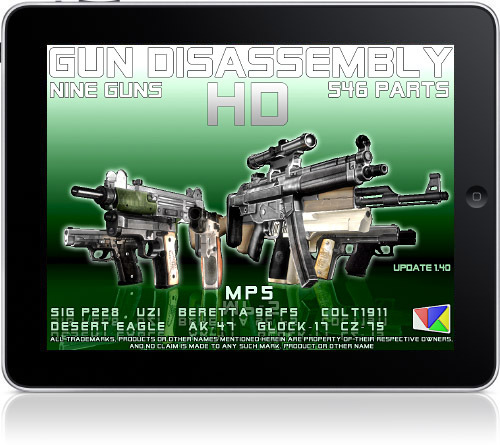 Updates 1.50 of the Gun Disassembly 3D and Gun Disassembly 3D HD is released. 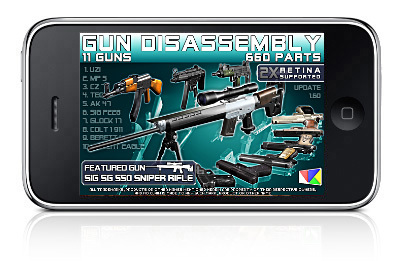 Updates 1.40 of the Gun Disassembly 3D and Gun Disassembly 3D HD is released. 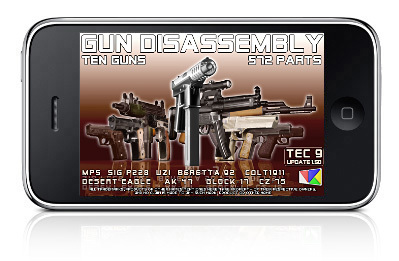 Most widely used submachine guns in the world MP5 added.